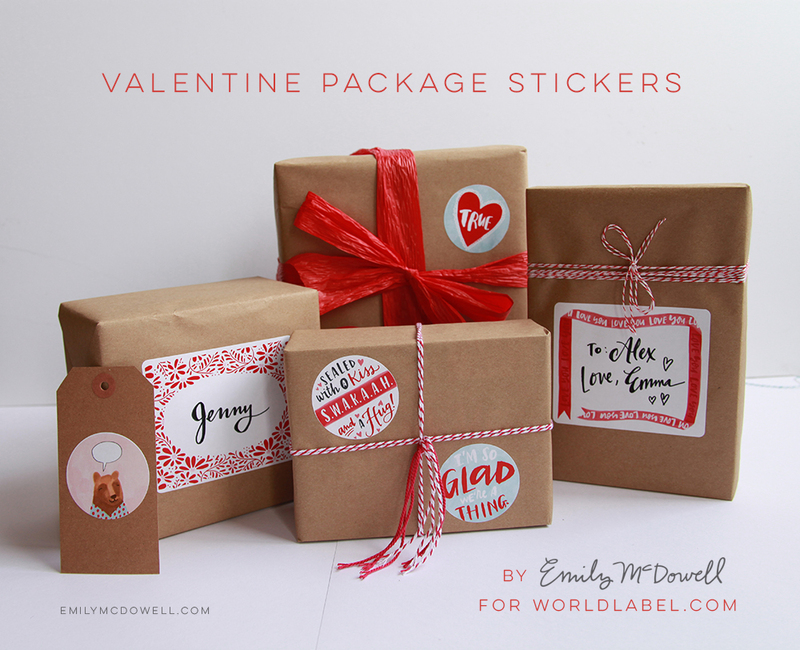 Add some extra love to your Valentine packages and envelopes with these printable labels and stickers, written and illustrated by Emily McDowell for WorldLabel. 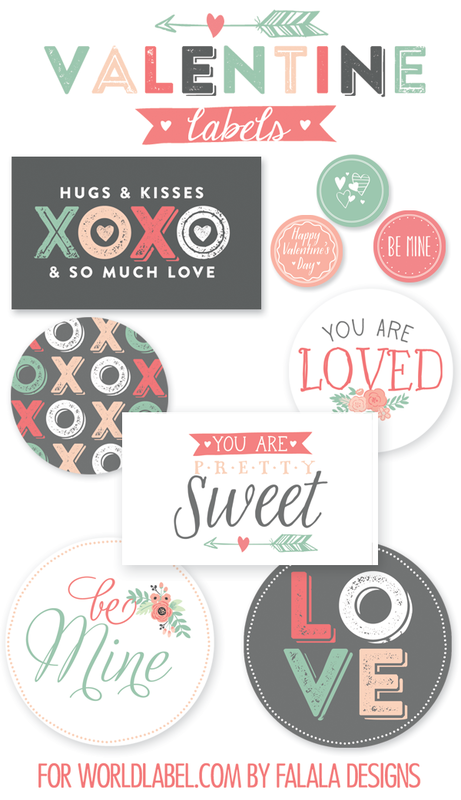 Each sheet of 2” round labels includes 2 each of 10 different designs, perfect for sealing envelopes, decorating packages, or creating your own cards or gift tags. 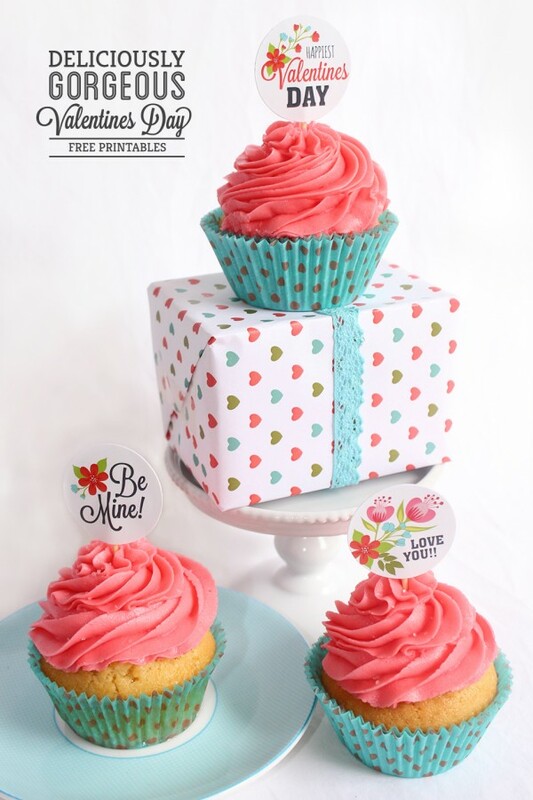 Each label sheet of rectangular labels includes 2 each of 3 different designs; use them as a fun and festive way to address packages or label gifts. 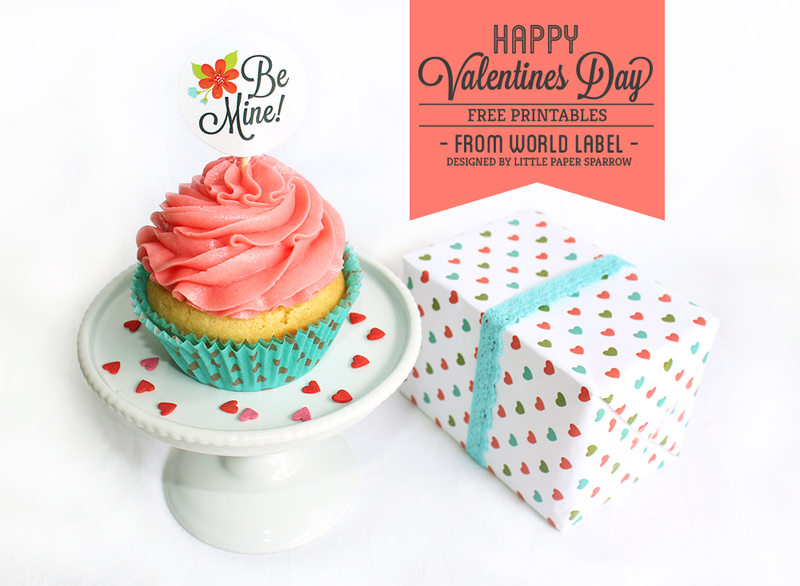 Printables are for personal, non-commercial use only. 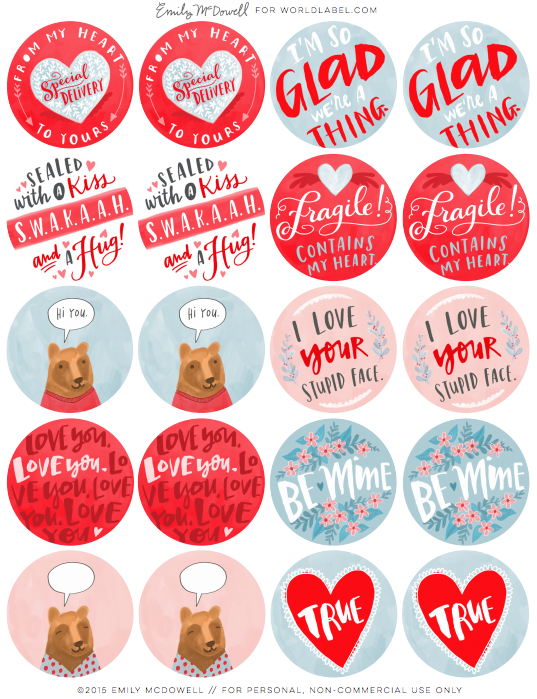 This entry was posted in Label Design, Labels & Printing and tagged emily mcdowell, free label templates, free printable labels, free valentines day labels, gift labels, printable labels, valentines day labels on February 1, 2015 by wlmanager. Love is in the air!! Get ready for your kid’s Classroom Valentine’s Day Parties with these fun printable cards!! 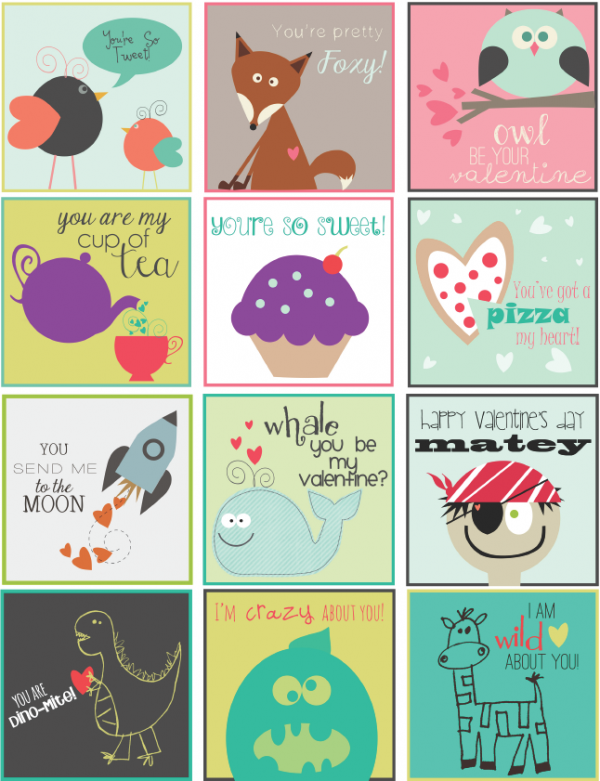 Print them out on cardstock for passing out on Valentine’s Day, attach to treats or gifts with ribbon, or print them on either a full sheet label (or WL-675 label) and stick them on instead. 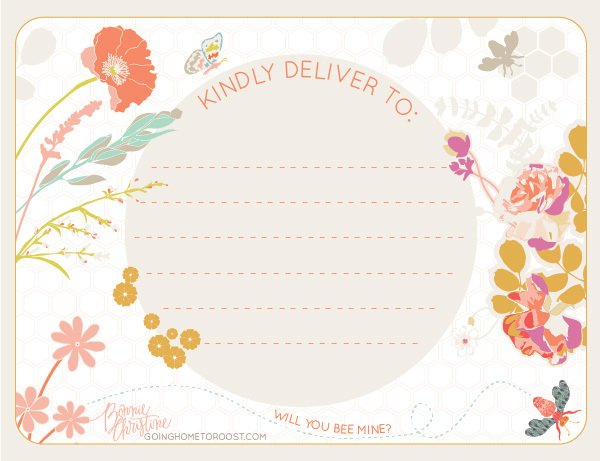 Designed with lots of love by Catherine of pumpkinsandposies.com. Enjoy! This entry was posted in Label Design and tagged classroom labels, free holiday label templates, free kids labels, free label templates, free printable labels, free valentines day labels, holiday labels, kids labels, prntable labels, valentines day labels on January 15, 2015 by wlmanager. 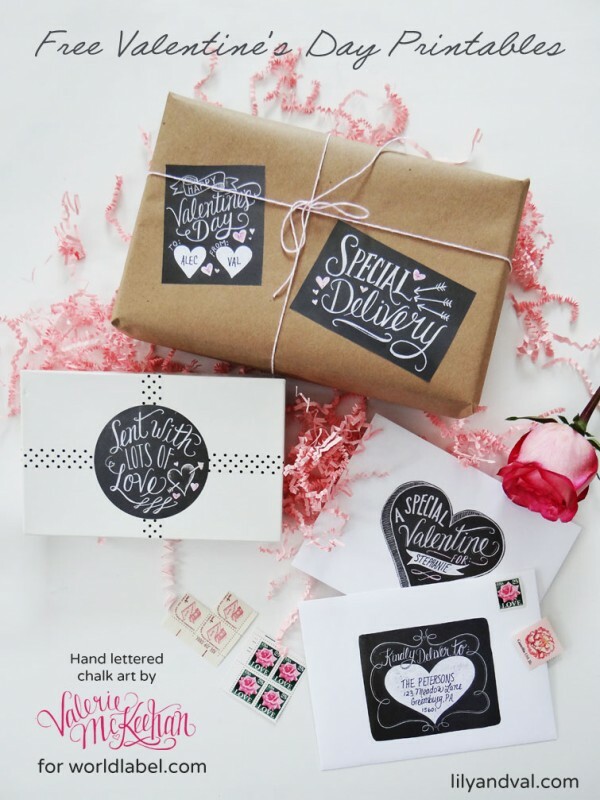 Ana Feliciano of Falala Designs has been busy designing a great set of Valentine’ Day labels for all your packages and gifts. 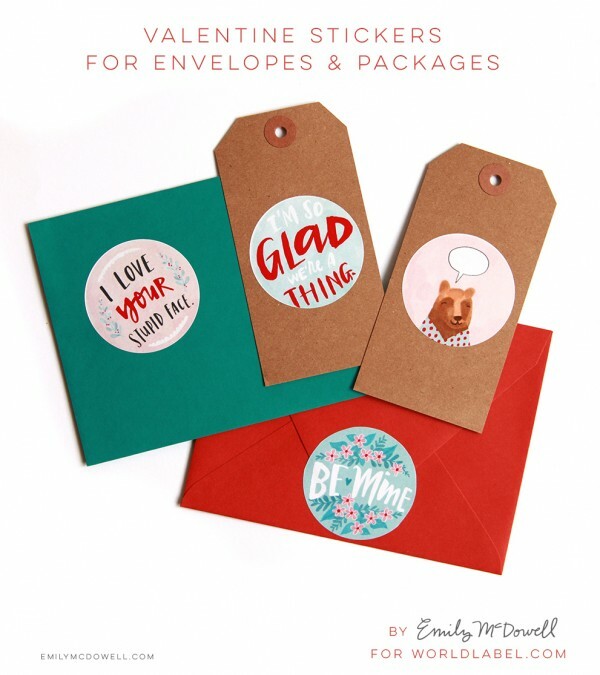 Some really sweet Round Labels and a rectangular label you can use to really spruce up all your packages and make them really beautiful. 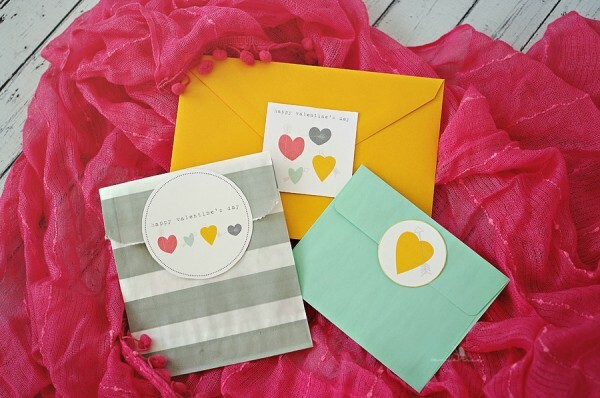 Also included are some small round Valentines Day labels you can use as an envelope seal. 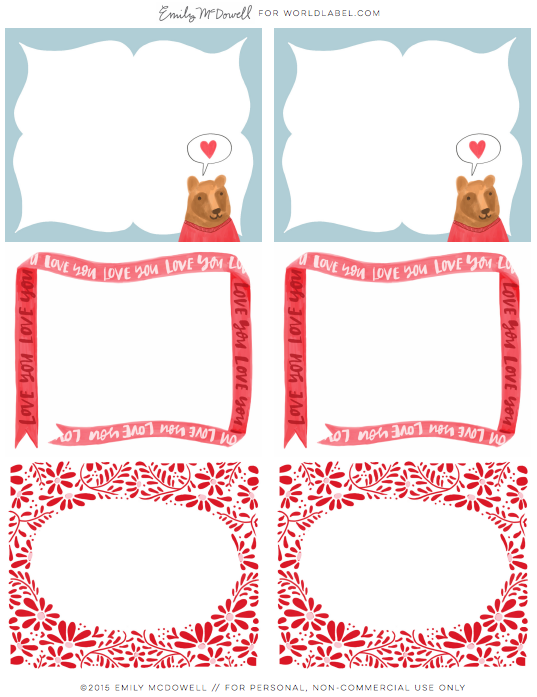 An a really gorgeous garland with the words LOVE to print. 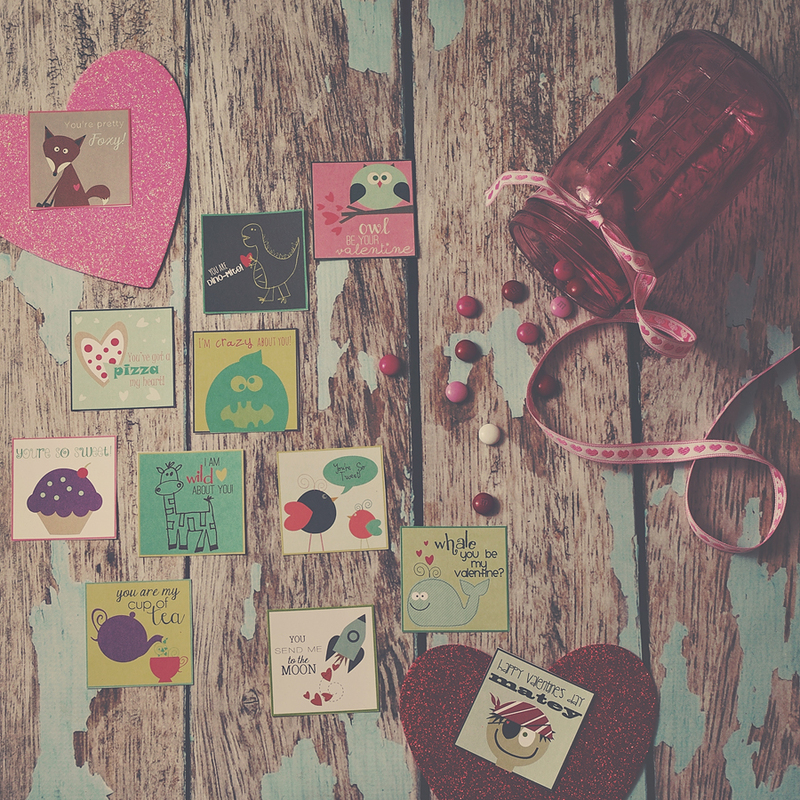 Every year around the World on February 14th, lots of people exchange cards, candy, gifts or flowers with their special “valentine.” The day of romance we call Valentine’s Day is named for a Christian martyr and dates back to the 5th century, but has origins in the Roman holiday Lupercalia. 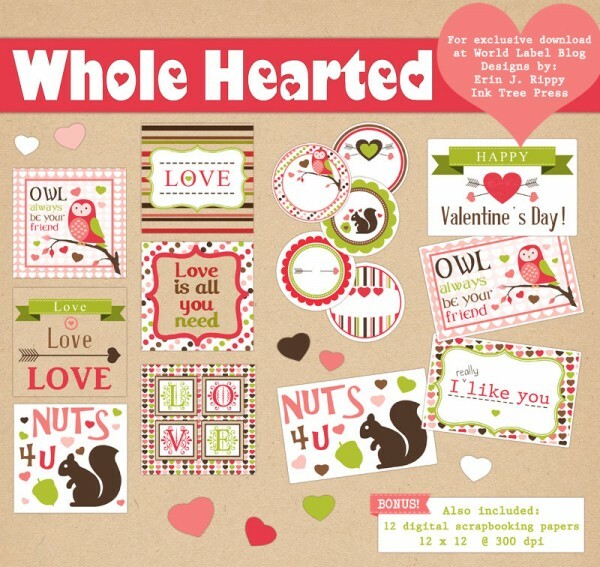 This entry was posted in Label Design, Labels & Printing and tagged free holiday labels, free label templates, free printable labels, free valentines day labels, holiday label templates, label templates, love labels, printable labels, valentines day label templates, valentines day labels on February 10, 2014 by wlmanager. 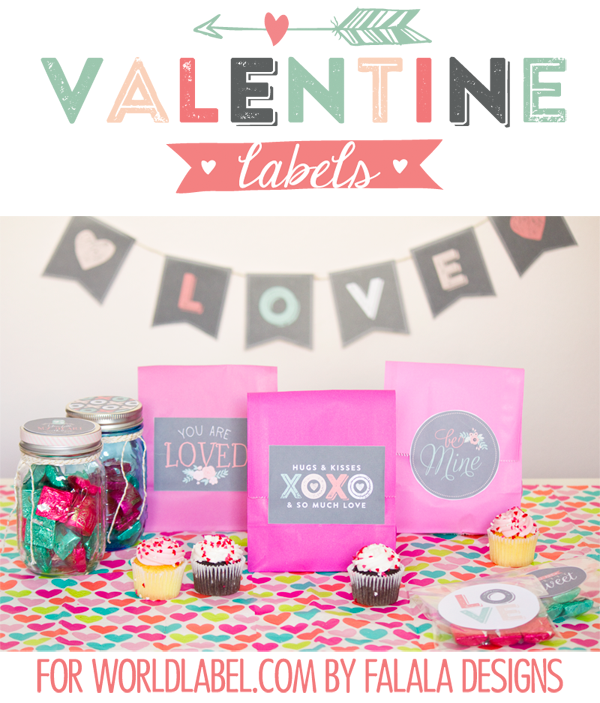 Have your kids join in on the Valentine’s Day fun with these adorable labels that you can personalize with their names and add to the packaging of your heart day treats! 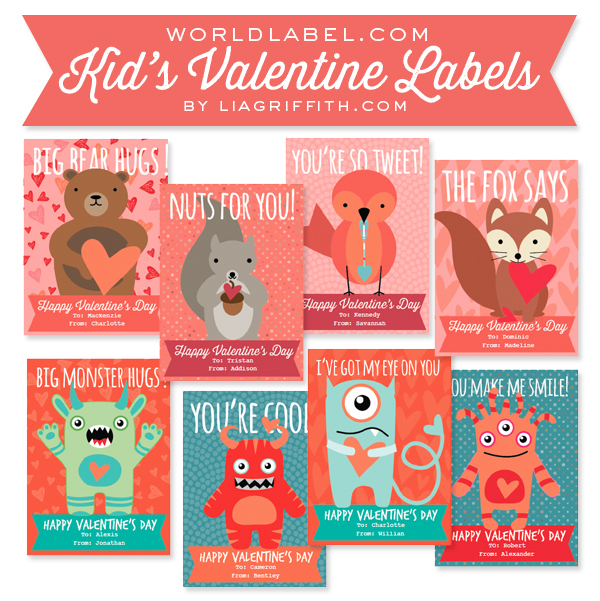 Designed by Lia of liagriffith.com, these labels are perfect for both boys and girls. 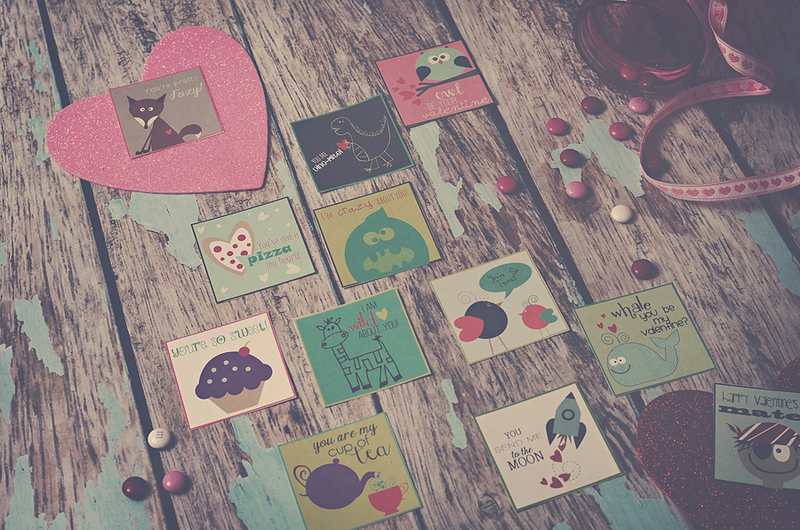 One set shares the cuteness of woodland friends, the fox, bear, squirrel and bird while the other set appeals to the cute little monsters. Both sets can be downloaded onto your computer, opened in Acrobat and there you can add the names of your kids and their friends. 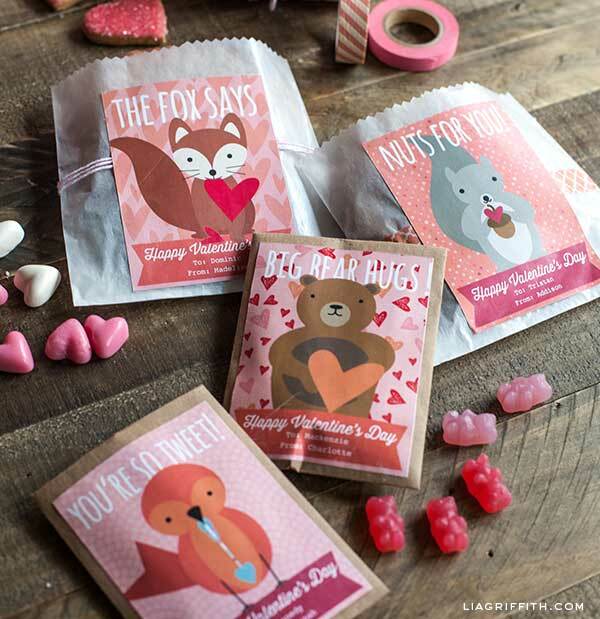 Just print them onto full sheet labels, trim and attach them to your treat bags. 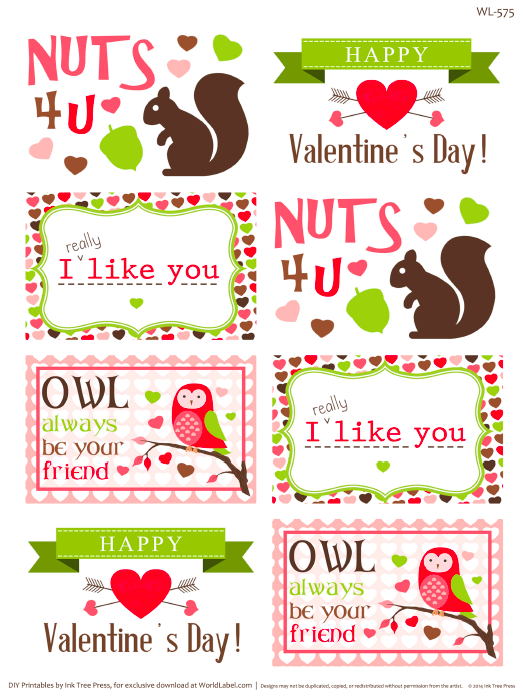 This entry was posted in Label Design, Uncategorized and tagged free kids labels, free label printables, free label templates, free labels, free printable labels, kids labels, valentines day label templates, valentines day labels on February 10, 2014 by wlmanager. To print: Download the printable PDF’s. 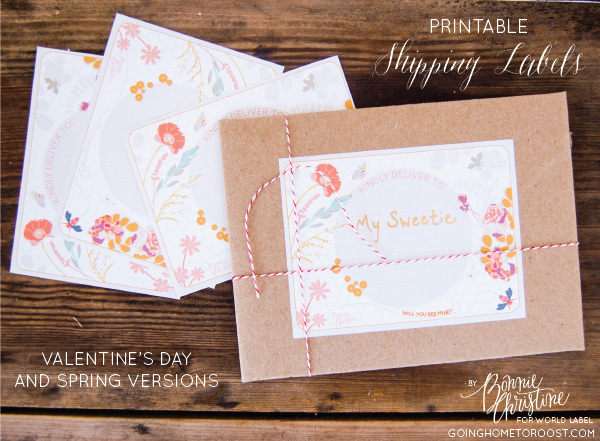 Print on full page white sticker paper and cut out along the borders. This entry was posted in Uncategorized and tagged valentines day label templates, valentines day labels on February 4, 2014 by wlmanager. 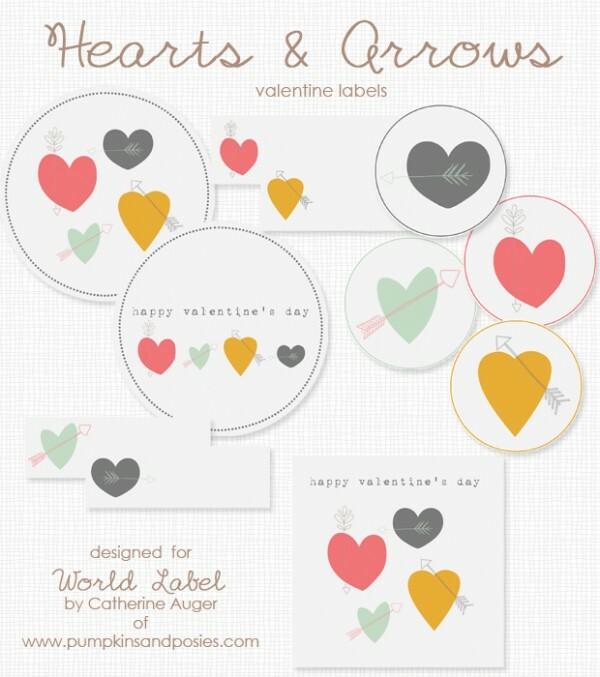 Free label printables for Valentines Day in a Hearts and Arrow theme designed by Catherine Auger of Pumpkinsandposies.com Use these labels to really spruce up your Valentines Day envelopes and gifts. Labels are in editable PDF templates so you can personalize with your own information. Just type, highlight text and press Control + E.
To print, use Worldlabel products: WL-375 round labels, WL-5375 round labels, WL-675 multipurpose and WL-900 address labels. 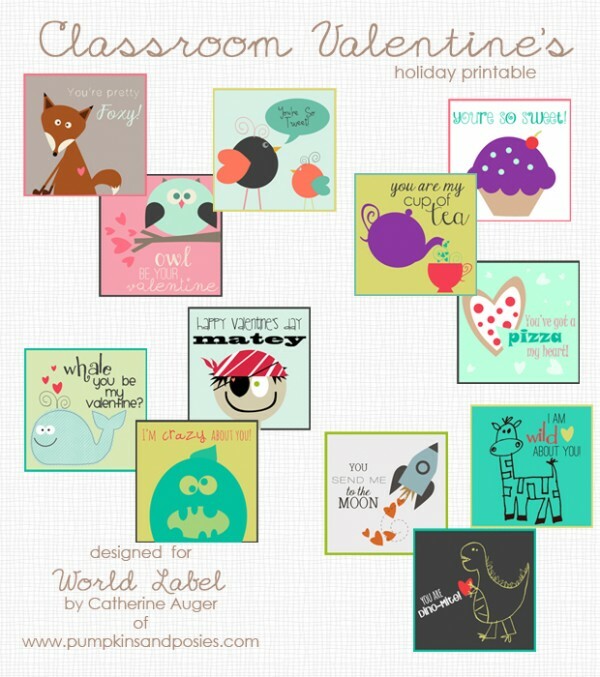 This entry was posted in Label Design and tagged free label templates, free printable labels, label printables. 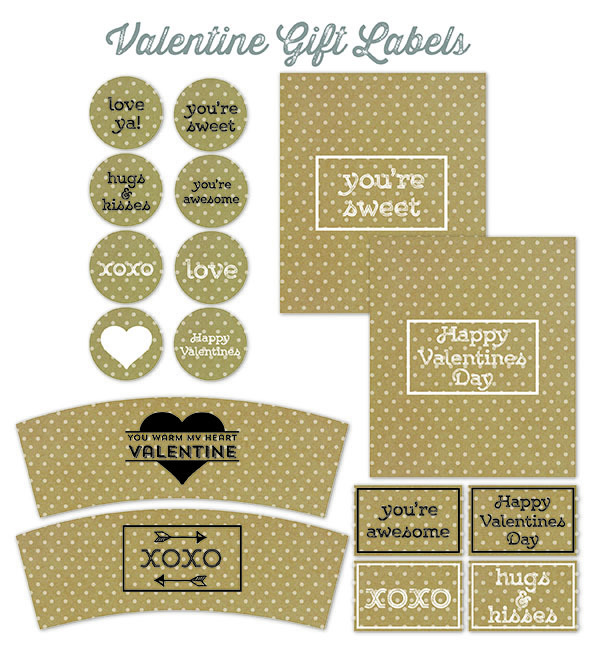 holiday label templates, valentines day label templates, valentines day labels on January 31, 2014 by wlmanager. 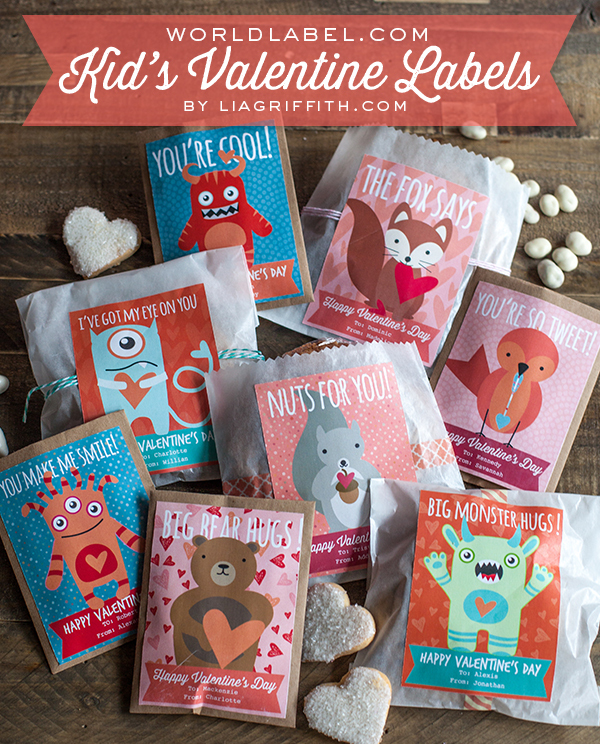 This series of whimsical, printable labels by Valerie McKeehan will make every package and card even more special this Valentine’s Day. 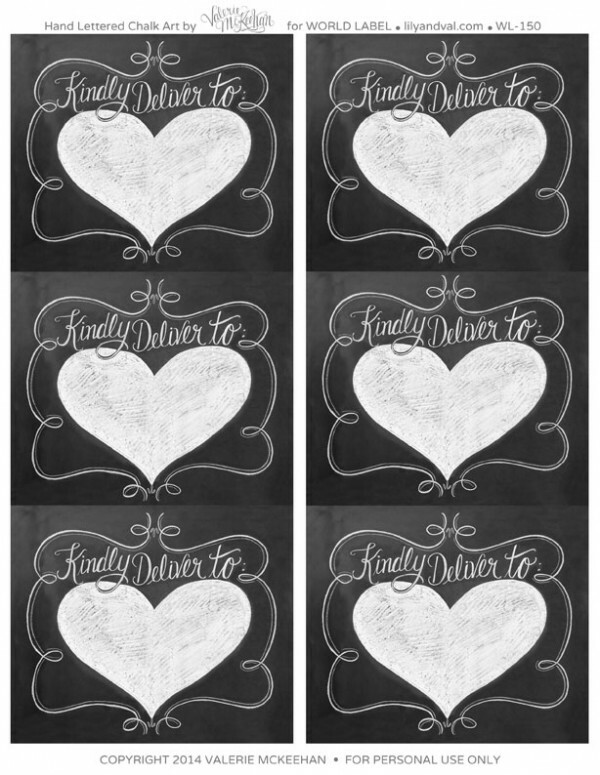 Each design is hand drawn in chalk then photographed to produce a 100% authentic chalkboard look. 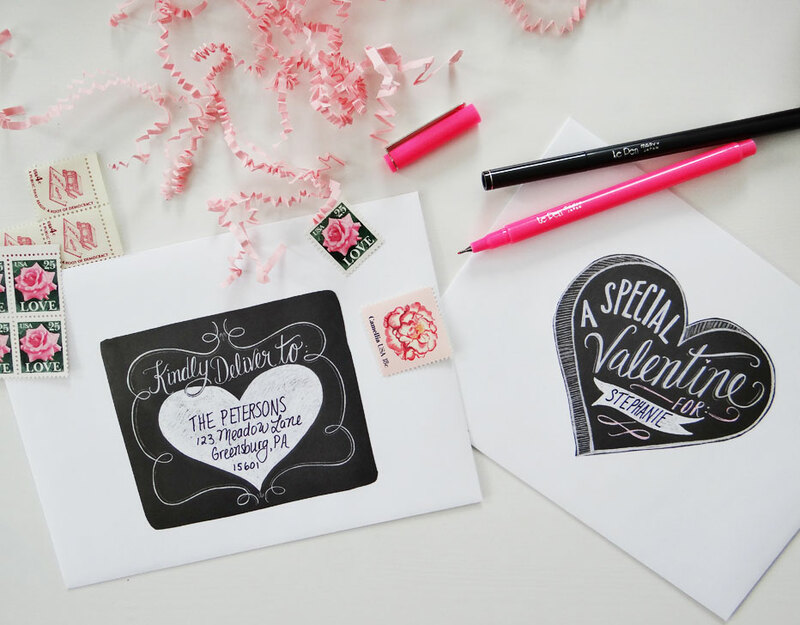 Hand write the recipient’s name on the label or use the editable PDF file. Either way, they are sure to bring a smile to your friends and family. Chalkboard artist and illustrator Valerie McKeehan has been hand lettering since childhood. Drawn to the simplicity of chalk and the nostalgia that it inspires, she opened her boutique, Lily and Val, in 2012. Whimsical and undeniably handcrafted, her designs are honest and authentic, at home with their imperfections and unique character. This entry was posted in Label Design and tagged chalk labels, chalkboard labels, free label templates, free printable labels, holiday label templates, printable labels, valentines day label templates, valentines day labels on January 28, 2014 by wlmanager. 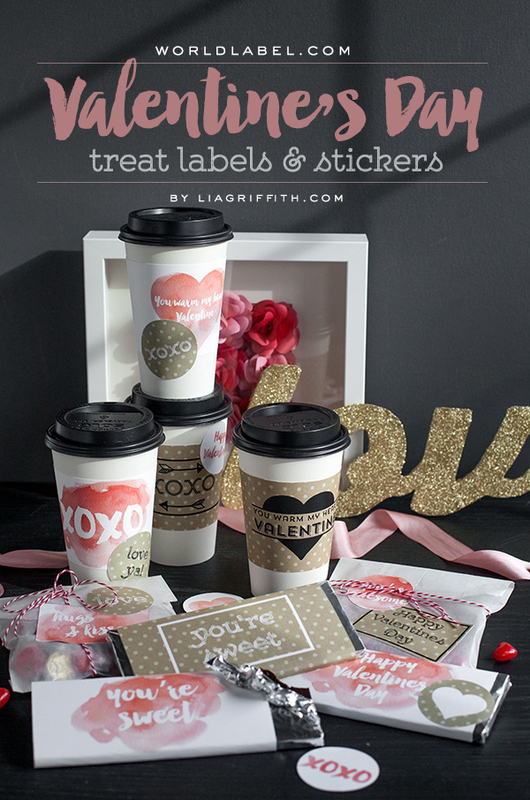 These really wonderful DIY Valentines Day Printables and Labels are free to download. Design by Erin Rippy of Inktreepress.com Included in this Valentines day collection of printables is a DIY envelope with designed cards to fit, lots of different labels including round Valentines Day Labels and, a bonus free collection of digital papers with a whole hearted theme. 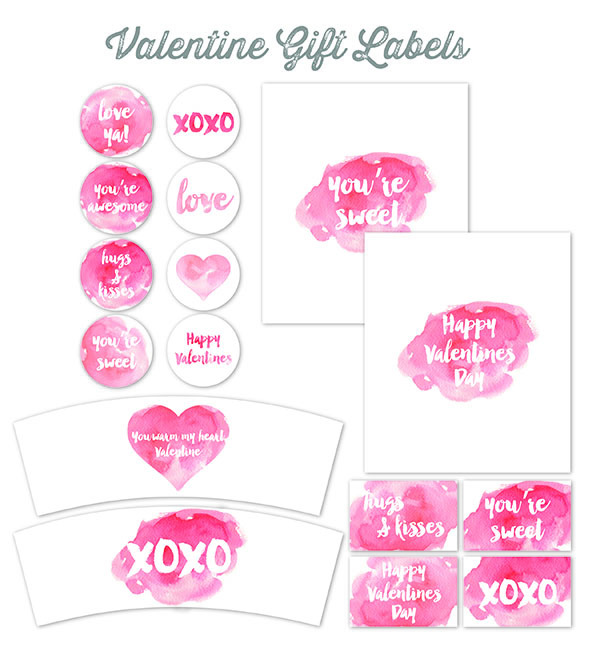 This entry was posted in Uncategorized and tagged free label templates, free printable labels, holiday label templates, printable labels, valentines day label templates, valentines day labels on January 22, 2014 by wlmanager.